An extremely high level of attention to detail and high-quality spinal injuries care is mandatory for the proper and effective recovery of someone who has suffered an injury to their spine. A spinal injury may disrupt the spinal cord causing temporary or permanent changes in its function. The injury can potentially block the communication between the brain and the body. For this reason, spinal injuries are serious and the utmost care has to be taken. Spinal cord injuries are defined as damage caused to the spinal cord. This could result in the loss of normal bodily function, in particular related to mobility and sensation. The causes of the damage can be due to extreme trauma like an accident, fall, gunshots, or even diseases like polio. Spinal injuries can also cause loss of movement, affecting the normal sensation of the body, amplified reflex reactions or spasms. This injury can have a long-lasting impact on the patient, and as such, proper spinal injuries care is important. There are primarily two categories of spinal cord injuries. These are termed complete and incomplete. Incomplete spinal cord injuries: The spinal cord is partially affected which allows some functions to the patient. Complete spinal cord injuries: The spinal cord is completely severed in this case resulting in drastic changes to the normal functioning of the patient’s body. 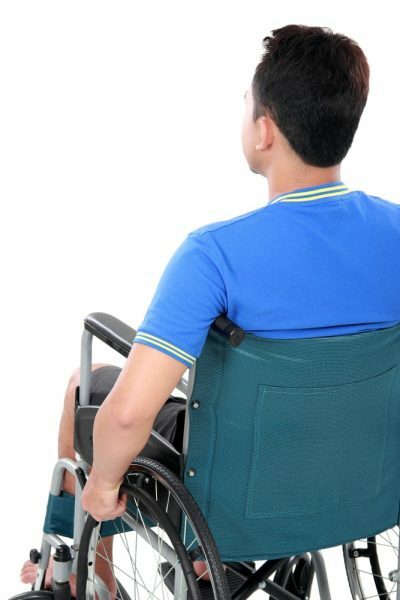 The paralysis resulting from a spinal cord injury is referred to as Tetraplegia. This paralysis affects the functioning of the arms, trunk, hands, legs, and the pelvic region. Paraplegia is paralysis which affects most or all parts of the pelvic organs, trunk, and legs. Spinal injuries care calls for unconditional support where the patient’s needs and choices are looked after carefully. Such patients frequently require professional-level care led by nurses who understand their needs and requirements, at least until the individual has adjusted to life after the spinal injury. This can be further developed into a lifestyle plan to cater to the patient as needed. After a spinal injury, some people might require ventilator care or management of respiratory function. Others may require help with regards to eating, in some cases, nasogastric feeding (via a nasal tube) is needed. Proper administration of regular and periodic medication is important. As too is a consideration of how significant lifestyle changes can be adapted to the person’s needs. In severe cases, patients may need constant supervision to provide a clinical-level of spinal injuries care. Specialized doctors can perform a series of tests to determine the extent of damage caused by the spinal cord injury. This will essentially pinpoint and explain the neurological level and overall impact of the injury. Following which, the person can get the proper spinal injuries care for recovery and support. At Haym Salomon Home for Nursing & Rehabilitation in Brooklyn we are a caring, respectful, and experienced full-service nursing care provider for many people, including those who have suffered a major spinal injury. If you or someone you love has a spinal injury, talk to us to find out how we can help you by providing the best in spinal injuries care.